The best way to retain your top performers is to be a great boss – be a great leader. Instead of being one of those bosses, be the leader your employees want to work for. A great boss know’s when it’s appropriate to hold the reins and when they need to step back and let employees shine. When the next project comes up, select a project manager or team to take it on. Allow opportunities for team building and consider leaving yourself out of these activities at times. Don’t micromanage these things and learn to let go of some of the control you’re used to. This trust will empower your employees to step up to the plate and do their best work. The worst qualities a boss can possess are stubbornness, arrogance, and a negative attitude. Good leaders always do the right thing, especially when it’s the tough thing to do. Set a standard at your company for having a positive attitude, treating people with respect, showing empathy, and practicing conscientiousness. Shower your employees with respect and gratitude. A simple “Thank you” can go far but it’s not enough. Check out our slide share for more ideas; 10 Simple Tricks: How to Show Employees You Care. The two most important things to remember are to never point the finger when something goes wrong and never under any circumstances play favorites with your employees. You probably had a strong vision in mind when you started this business. It showed you what you wanted to get to, how you wanted your company to run and it showed you how to get to that point. What’s your vision now? What do you see for the future of your company? Well, great leaders share these visions with their employees. Employees who feel a connection to the future of their company are more likely to feel engaged and happy at work. When you have a strong vision in mind it’s easier to be decisive and you will eliminate the risk of making emotional decisions that haven’t really been thought through. Great bosses have all these traits and are constantly looking to improve their leadership skills. Are you looking for more ideas to retain employees and keep them happy? Read about how Generational Diversity can Affect Retention and download our FREE eBook “25 Employee Retention Ideas” and take charge of your retention. 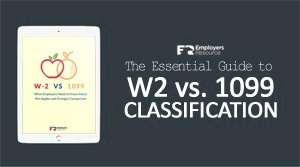 The Two Biggest Challenges Facing Business Owners in 2015 (Part I) EPLI, WCI and ADR: What’s the Difference?